Hurricane Joaquin is the first tropical storm of the season to hit the East Coast. The National Hurricane Center has officially classified the storm Category 1 with 80-mph winds. According to USA Today reporters Matthew Diebel and Doyle Rice, the storm is set to strengthen continuously over the next two days and could approach the East Coast by this weekend. In an interview with the hurricane center, Diebel and Rice were told that this storm has a wide range of potential outcomes - ranging from scattered heavy rain to major hurricanes on the U.S. East Coast. What does this mean for distributors? While it may still be too early to talk about specifics of this storm, it is not too early to prepare for the affects a hurricane like this could have on East Coast distributors. 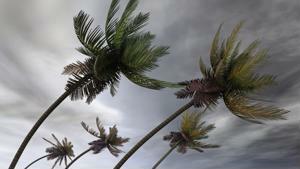 Any form of natural disaster has a deep effect on the world of distribution and supply chains. For example, when Hurricane Sandy hit New Jersey supply chains all along the East Coast were disrupted as shipments were halted in major ports. According to GENCO, the storm resulted in suspended air traffic for several important airports as well as halted shipments in and out of major ports in key cities such as Philadelphia. Major East Coast cities including Boston, New York City and Newark are home to key ports for exports and imports across the U.S. While the true power of Hurricane Joaquin still remains a mystery, it is a good time for supply management executives to prepare their staff and supply chain partners for potential scenarios. According to the University of San Francisco's supply chain management resources, there are a handful of ways to prepare your supply chain for a natural disaster. However, the top three most useful options are: Establish a crisis team, use a variety of suppliers and remain vigilant. Establishing a crisis team is a great way to ensure that, when disaster strikes, you are already prepared. Select members from every level of your team and put them in charge of certain functions of decision-making and communication throughout the supply chain during times of crisis. This ensures little to no discrepancies in your plan of action. Using a variety of suppliers is the most useful preemptive tool to protect your supply chain against natural disasters. Maintaining relationships and business with suppliers that use various ports decreases the likelihood that you will be cut off from all your goods. USF also suggested creating alternative transportation routes for your suppliers in case of an emergency. Lastly, remain alert. The best offense is a great defense. If you are prepared for what is coming in the regions of your suppliers, you will have more time to enact any crisis plans. Keep close tabs on potential blockages to trade, such as impending storms, but also things like political unrest and currency inflation. While Hurricane Joaquin may currently stand as just a blip on your radar, it is always good supply management practice to have a plan in place. Confer with your suppliers and your team to make sure you are all on the same page regarding what to do in case of a disaster. You know what they say: "Better safe than sorry."